Are you trying to have a drink at a bar or at home and you have small bar flies / fruit flies or vinegar flies around? Nothing worse – get them out and enjoy drinking in peace today. Sick of annoying bar flies, fruit flies or vinegar flies? The Easy Pest Bar Fly Trap is the answer. Effectively captures hundreds of bar flies with its uniquely designed trapping system. 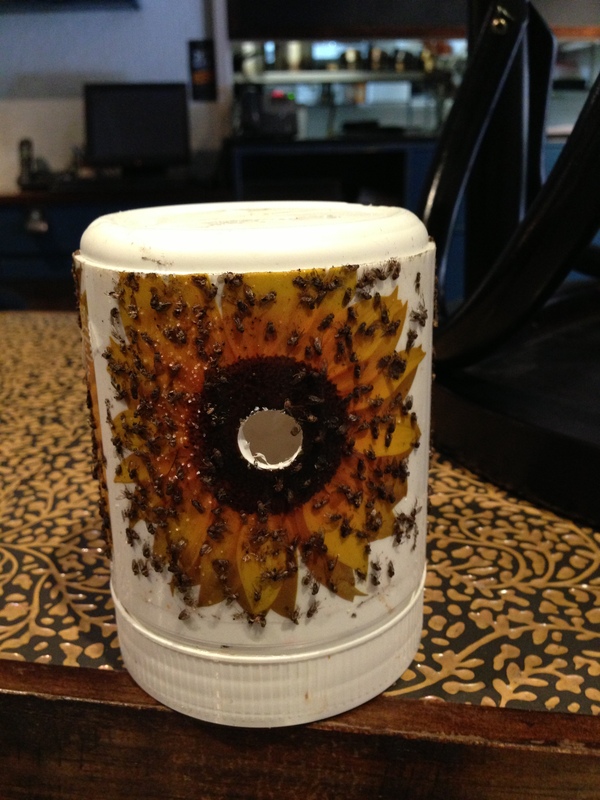 Bar flies are lured by an all natural food grade attractant inside the trap where they are then captured and retained on the glueboards wrapped around the exterior of the trap. The Easy Pest Bar Fly Trap contains no insecticdes so is safe for use in food and drink preparation areas such as bars, clubs, hotels, restaurants, cafes and homes. The Easy Pest Bar Fly Trap also contains no electrical parts or wiring so it can be installed anywhere. The hook on the top of the trap allows it to be hung from the ceiling, under bars or benches. It can also be placed on any flat surface such as a shelf or on top of cupboards. The natural food grade attractant will last 4-6 weeks and can be replaced when empty. Refills are also available for purchase. The trap will remain effective for up to 3 months before needing to be replaced.